It’s the year 1520 and the Kingdom of Castile is simmering in revolt. Queen Juana and her son King Charles I are co-rulers but Juana has been, for all intents and purposes, a prisoner in Tordesillas since the death of her husband Philip of Burgundy. 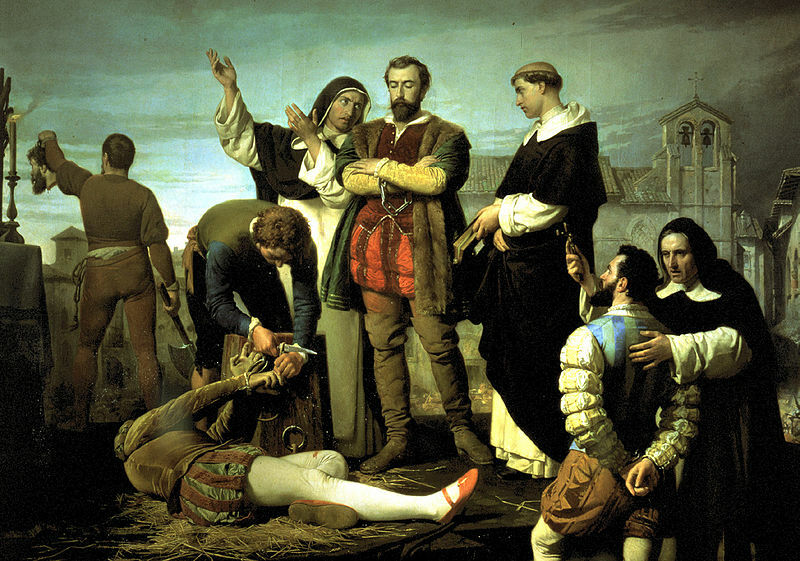 Those who were in revolt saw Juana as the cornerstone of their effort to create a new government in Spain and restore the old traditions and order. During the minority of King Charles, his old tutor Adrian of Utrecht was named to serve as co-regent of Spain along with Francisco Jiménez de Cisneros. 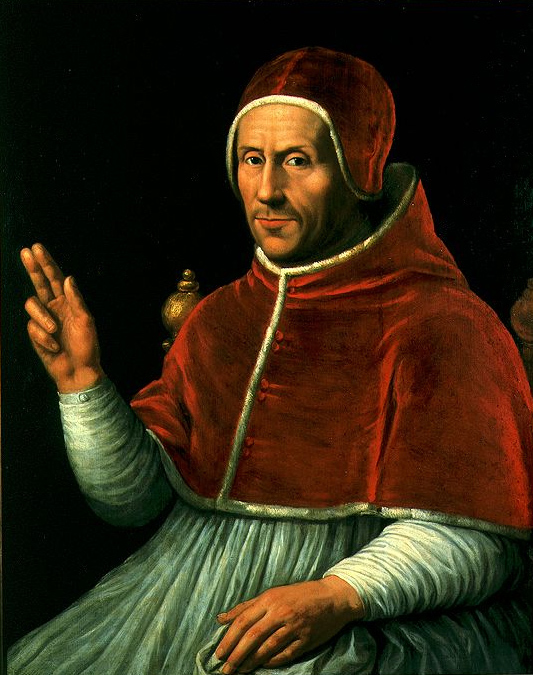 When Cisneros died, Adrian was appointed in March of 1518 as general of the unified inquisitions of Castile and Aragon in which capacity he acted until his departure for Rome to become Pope Adrian VI. After being elected Holy Roman Emperor as Charles V in 1519, he left for the Netherlands in 1520 and made Adrian sole regent of Spain. During this time, Adrian had to deal with the Revolt of the Communeros which lasted nearly a year. There were many reasons for the discontent of the men of Castile. Some people were exasperated at the abuse of power by the Inquisition. Castile was frustrated that Charles had deserted Spain to the take the Imperial crown. Many felt the authority of the Cortes had been diminished. They greatly resented Charles demand for taxes which they found excessive. Some felt Spain’s traditional culture was being threatened. Some men wanted to engage in personal quarrels and vendettas. They hated the Burgundians that Charles had appointed to govern them and who they accused of plundering the land and tyrannizing them. In the Regent’s defense, he lacked the money, resources and concrete backing to deal with these important issues of the realm. Affairs came to a head in the fall of 1520. In the city of Toledo, a league was formed consisting of representatives of the major cities from Leon to Murcia and from Burgos to Jaen for the purpose of defending the interests of the Kingdom. The league was called the “Santa Communidad” or the “Santa Junta” (Holy Assembly). The motto of the Junta was “Long live the King! Down with bad ministers!” They claimed sovereignty of the government and tried to convene the Cortes of Castile and Leon. A few skirmishes had taken place before the league decided on a bold course of action. Their plan included liberating Queen Juana from her prison in Tordesillas, asking her to sanction their actions and possibly place her on the throne to rule in her own name. 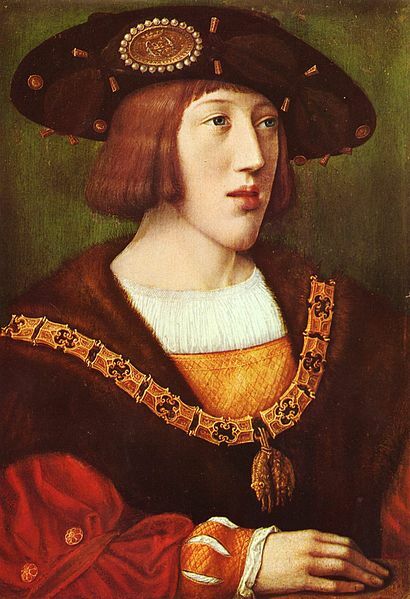 Juana’s husband, Philip of Burgundy had died in 1509. Even before Philip’s death, he had circulated rumors that Juana was insane. 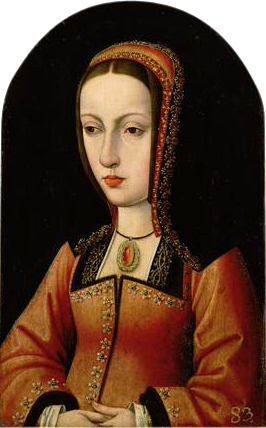 Her father, Ferdinand of Aragon, maintained she was unfit to govern and on his orders, Juana and her youngest daughter Catalina were escorted to the small town of Tordesillas about fifteen miles from Valladolid. While she lived there closely watched, blissfully unaware of the state of affairs in her kingdom, her father ruled in her place. She was purposely not told any news, not even about the death of her father in 1516. When Ferdinand died, Charles made a deal with the Cortes of Spain to be named co-ruler with his mother. On August 23, a deputation of representatives presented themselves at the gates of Tordesillas, requesting access to the Queen. Juana’s jailor Denia would normally refuse to allow Juana to accept any visitors. But some members of her household welcomed the Communeros and her guards offered no resistance. Juana emerged from a corridor of the palace overlooking the plaza and waved to them, giving the appearance she welcomed them and they managed to gain entrance. The head of the delegation was a man from Toledo named Juan de Padilla. He was the son of the general captain of Castile under Juana’s mother Queen Isabella. An educated man, he considered himself a true patriot. Juana received him and his men and they showed her all the deference due her royal state. Padilla addressed her on his knees. He explained the Communeros had come to kiss her hand and to let her know of the evils of the government since the death of her father. Juana told Padilla she did not know Ferdinand had died. They talked to her at great length and very earnestly, explaining the miserable conditions of her subjects under the rule of her son Charles and his regent Utrecht. They said only she could be the agent of change. Juana remained very calm and expressed her astonishment at the suffering of her people. She replied that if Spain was in confusion and turmoil, so was she. She begged them not to blame her and promised to remedy the situation, thanking them for their attention. She was in great need of independent council and issued verbal orders to summon four specific advisors. In the meantime, she said they could do whatever was necessary for the good service of the public. Padilla left his audience with Juana and proclaimed he had proof she was perfectly sane. From that point on the Junta carried on the government in Juana’s name and the people rejoiced. Juana may have welcomed the Communeros because one of their first acts was to throw her jailor and his wife out of town. When Denia appealed to Juana for his return, she told him to leave her alone and not speak to her again. For the next one hundred days, meetings were held with the Communeros representatives. They talked to her for hours about the state of the kingdom and about all the unrest in the cities. At one point during the talks, she asked for a cushion to sit on for comfort. They assured her they were loyal subjects who only wanted the best for Castile. They begged her to have self-confidence and take up the reins of government herself. They asked her to aid them in restoring order, justice and the traditional way of life. They urged her to sign proclamations giving them the authority to restore order in her name. They told her there was no one to stop her from ruling, governing or commanding. They were all ready to obey and serve her and honor her as their leader. They were willing to die in her service. Padilla persuaded Juana to leave her apartments and witness a magnificent tournament with all the royal trappings. He thought this would prove Juana’s capacity to govern. Notarized copies of the details of these meetings were circulated. More representatives of the Junta were called to Tordesillas in the hopes of convening a Cortes to address the ills of the Kingdom. All this must have been very tempting for the Queen. This was to be her only chance at freedom, her one opportunity to assume real power and rule in her own name as her mother had. If the plan failed, Juana would once again be under Denia’s power, forced to ask for permission just to go out for a walk. This was her moment. Yet she hesitated. She said she would be happy to treat with them regarding their demands. She loved her people very much and was sorry for their suffering. Yet she refused to sign any orders. She made excuse after excuse. She was grieving the death of her father. She would only meet with a few of the men instead of the whole group, creating delay while they decided who to send. She required her councilors. She asked that the councilors sign the back of any documentation before she would consider it. The Junta offered to sign but she would feign illness. The rebels needed Juana to keep their movement legitimate. Her son and his regent needed her to maintain their authority in the kingdom. She held fast to her position and resisted the Communeros with all her might. She was capable of arguing her case with ease. She had no intention of putting her son’s kingdom at risk. She admitted her father had kept her prisoner but blamed this on the influence of his second wife Germaine de Foix. The Junta argued that her father’s councilors were to blame for the unrest. She denied this saying if her father had chosen the councilors they must be good men. When they blamed the regent, she said although Utrecht was a foreigner, she heard he was a good man with the best intentions and he led an irreproachable life. This stymied the Communeros. They had no consensus as to who their leader was and they lacked the courage to entirely throw off the authority of the throne and become solely accountable for the government. Internal dissensions arose and their unity, which had been their strength, was beginning to break. The news of the Communeros and their meetings reached Charles’ adherents and they were greatly disturbed by the enthusiasm of the public. They wrote Charles urging him to act quickly. But Charles hesitated and initially this appeared to have disastrous consequences. The Junta rode roughshod all over the land. The city of Valladolid fell and all the seals and state papers were taken. The only thing holding them back was the final authority of the Queen. Utrecht was apprehensive about Juana’s behavior and feared she would eventually give in. It would only take one signature from her on one document for Charles to lose his kingdom. He begged Charles to come to Spain and deal with the crisis personally. The Communeros’ final trump card was to try to encourage division between Juana and her son. She would not hear any of it. When they accused Charles of co-opting the title of king, she countered that this was the custom of the kingdom. She said no one would come between her and her son. What belonged to her was his and she trusted him to take good care of it. She may have been misguided in this trust but she realized she couldn’t rely on the loyalty of the Junta either. Slowly the tide turned in Charles’ favor. Some of the more extreme elements of the Junta began to advocate for more revolutionary ideas, demanding social change. As the Junta’s strength began to ebb, the possession of Juana’s person became crucial to their cause and to the government of Charles. Rumors began to circulate that a royal army was approaching Tordesillas. Juana never ordered the gates be barred and she never considered leaving the town. The Communeros worked to persuade her to go to safety in Valladolid. She stalled in making a decision to leave, knowing she could be held prisoner there by the Communeros. By the first of December, the royal army approached Tordesillas. The Communeros closed the gates. They were not going to go down without a fight. Fierce fighting began with the defenders manning the walls in complete desperation. One of Charles’ soldiers used a pick axe to dig a hole in one of the walls gaining entry for the troops. There was bloody hand-to-hand combat for two and a half hours. About one hundred and sixty royal troops died and many more Communeros perished in the fighting. The town finally fell to the royal troops and went quiet. Juana and Catalina were found in the palace and they were led back to their former apartments. Juana was once again relegated to her isolated existence under the heavy hand of Denia, her own wishes being ignored. The Communeros entire agenda of putting Juana in charge of the government depended on her being sane. Charles’ legitimacy as king depended on her not being sane. From the very beginning the Junta said Juana replied intelligently and comprehensively to their concerns and questions answering with wisdom, prudence, and caution. She showed considerable skill at dissembling. They said she defended her family and cited her refusal to sign documents as a sign that she was sane and able to govern just as her mother had. She would have made her parents proud. But once they realized she would give them no authority, the Communeros did call in doctors, healers and priests in an effort to restore her “health”. Whether Juana was insane or not, the result was she had chosen family over the Communeros and their promises of her freedom. Charles went after the Communeros, confiscating some of their property. It was another five months before the entire conflict ended after the Battle of Villalar on April 23, 1521. The following day the rebel leaders, including Padilla were beheaded. Only the city of Toledo held out until October of 1521 and a general pardon was issued on October 22, 1522. Until the nineteenth century, the commons rarely rose up again against the government.